In the Standard Mode, it's adjustable, so as you practice and play, you determine the length that's just right for you. Or, by utilizing the unique taper sleeve and Tournament Mode, you will be legal for tournament play. You can, however, always return your putter to its original state. 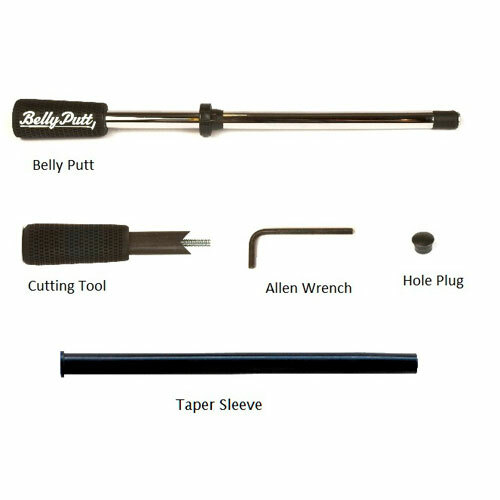 Belly putting can transform your putting technique, and help you start sinking more putts, more consistently. The benefits are undeniable. Some pros, like Davis Love III and Steve Stricker actually practice with a belly putter, then go out and play.